8 clever L-shaped kitchens for your inspiration! Are you thinking about remodeling your kitchen, but don't know how? Are you looking for the best option to maximise the square metres available? There are so many different possibilities thanks to design innovation, that we first have to congratulate you for coming to the right place to find the perfect ideas and designs jut for you. 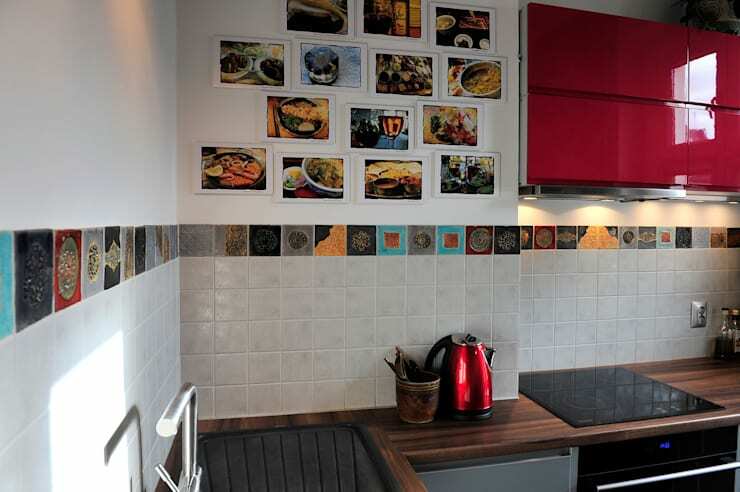 Did you know that by designing your kitchen in a certain way, you can even create space? 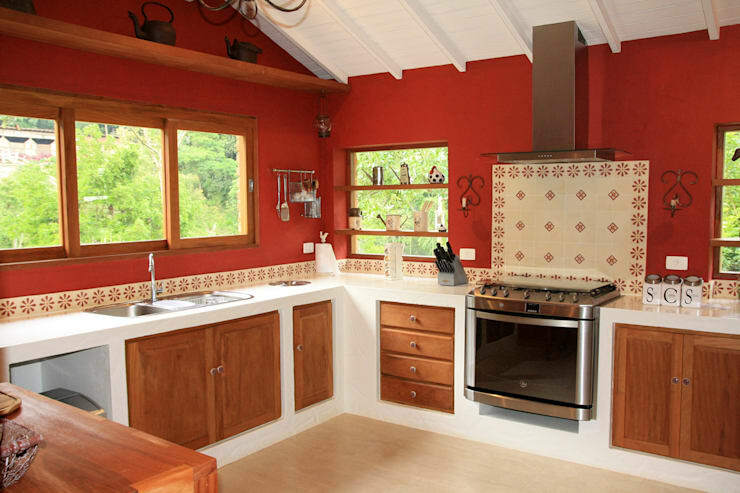 And by having a charming and vibrant kitchen design can enhance your entire home? There are so many ways to do this. You can choose to integrate your kitchen with other rooms of the house, which will make the space available seem much more vast and expansive. 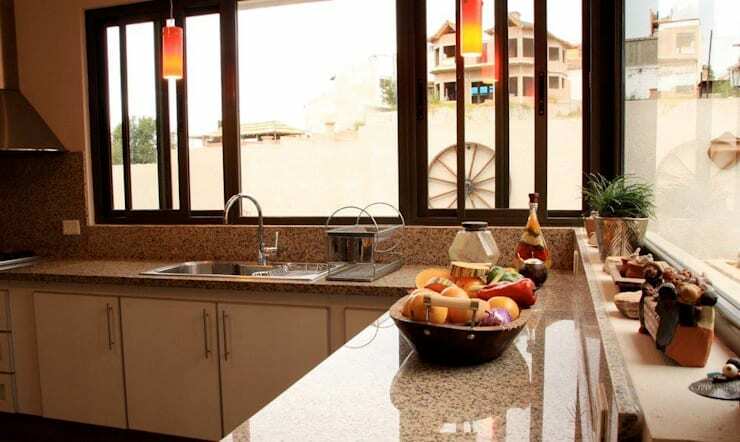 Or you can keep the kitchen separate but still create space by going for a smart and savvy design. You can opt for a traditional linear kitchen design, a U-shaped design or an L-shaped design, which will open the space up. In this ideabook, we present you with some of the advantages of the latter—the L-shaped kitchen. 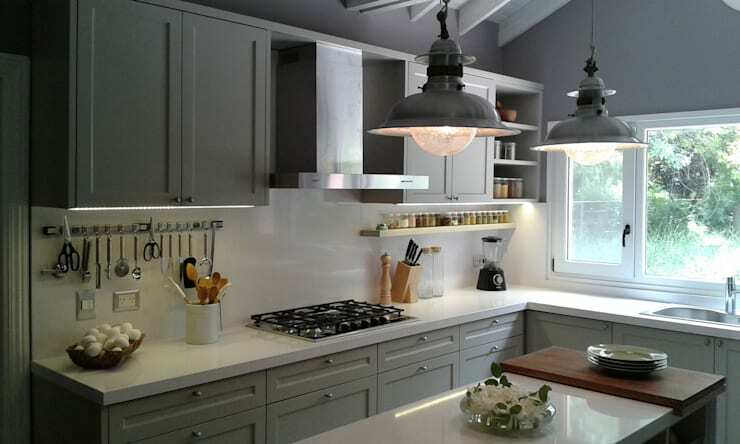 This will serve as inspiration if you want to renew and reinvigorate your kitchen space but aren't sure where to start. Are you ready to take a look? Let's go! The presence of good lighting in a kitchen is always a must. If you do not have natural light that flows into this space in the daylight hours, you need to install artificial lighting that illuminates every corner. Special attention needs to be given to the work space in the kitchen too. To take full advantage of this type of lighting, you can use glass coating rather than traditional tiles, which will reflect the light. This will make for a bright and appealing design, as we can see in this image. One of the advantages of an L-shaped kitchen is that you instantly multiply the counter top space, giving you extra space to work with and prepare food. In this image, we can see that the designers have gone for granite counter tops. This is a very popular choice that is easy to clean, easy to maintain and very durable. The L-shaped design of a kitchen doesn't just work for small kitchens. The truth is that this design is very practical and is perfect for anyone who likes an organised and practical space, no matter how many square metres there are available. If you add a touch of colour to the room, like these design professionals have done here, you have the perfect breeding ground for delicious meals and a very warm and inviting kitchen space. They have become very popular in recent times, but the addition of a kitchen island is not always the best option. 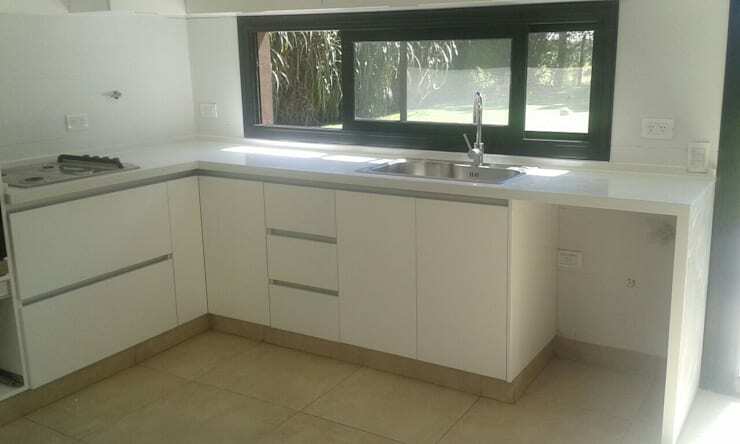 In this case, the dimensions of the kitchen were not ideal for the installation of a kitchen island, so its presence just ends up hindering the flow of movement through the kitchen rather than enhancing the design and functionality of the space. In small kitchens, the presence of a kitchen island can be quite overwhelming. There are also many advantages to kitchen islands, however. Have a look at these kitchen islands to treasure to see what we mean. 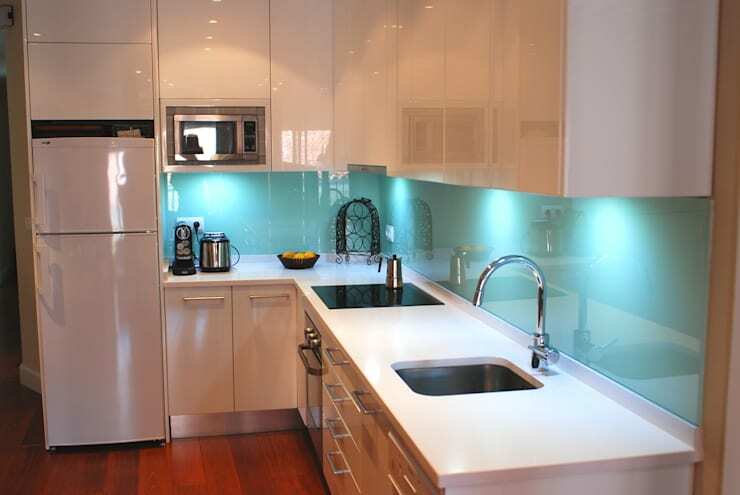 As we mentioned at the beginning of this ideabook, light is a fundamental factor in any modern kitchen. The presence of natural lighting enhances the sense of spaciousness in any environment in general but in a cooking space, it's a must. In the case of small kitchens, this feature is particularly important. Install large windows or even skylights in your kitchen space to allow light to flow through it as well as improve the ventilation of the room. Introducing the latest trends in your kitchen will make for a very fashionable space, but ultimately it's all about the detail. If we consider that this is a space that we will use everyday for a very long time, we realise that we need to include little elements throughout it that fill it with timeless personality. Original accessories or decor items, family photographs and possibly a fresh vase of flowers are great examples of how to achieve this. 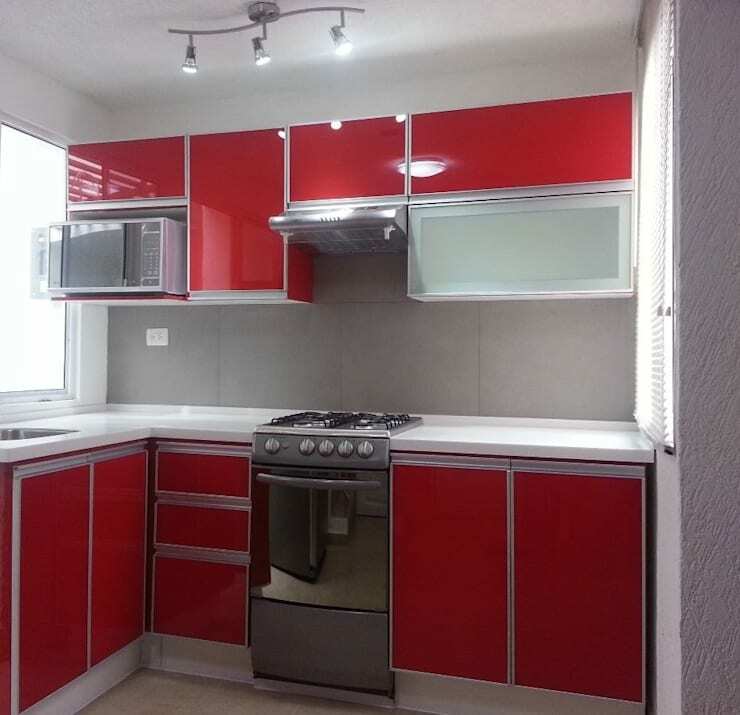 If you're looking for a kitchen that brings a burst of energy to the home, then you need to add some vibrant colours like we see in this design. The L-shape of the kitchen intensifies and amplifies the colours chosen, which contrast beautifully with the sleek silver appliances. A light colour palette as well as the use of natural light are two characteristics that help to enhance spatial perception and, in this case, combine perfectly with the design of an L-shaped kitchen. The L-shaped kitchen perfectly displays the benefits of this design, which is that it truly creates a comfortable area where you can move around easily or install practical and simple furniture. If you liked this ideabook, you'll love these: 8 clever ways to improve storage in your kitchen. Would you consider an L-shaped kitchen?